“Avengers: Infinity War” is all about the Marvel Cinematic Universe’s biggest, baddest big bad, Thanos, coming to Earth to gather up the all-powerful Infinity Stones. That’s bad news for Vision, the partially robotic, partially organic Avenger, because one of the Infinity Stones is stuck in his forehead. 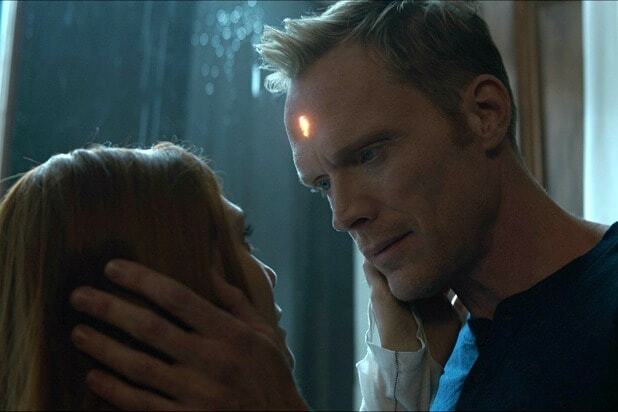 That stone is the Mind Stone, and it’s part of what gave Vision (Paul Bettany) life in the first place, way back in “Avengers: Age of Ultron.” The heroes in “Infinity War” want to keep Thanos (Josh Brolin) from getting hold of any of the stones, but in the case of Vision, there’s a personal stake to protect it — and his life. 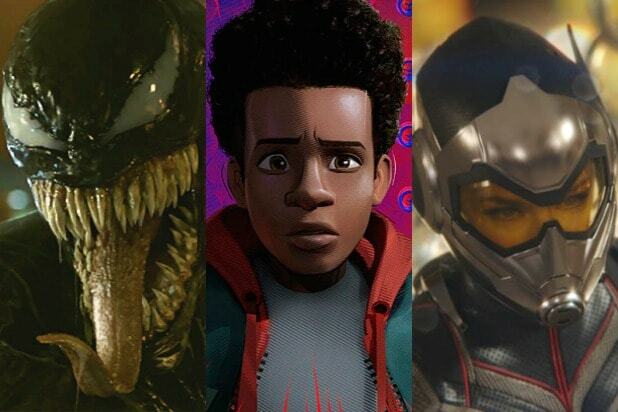 If you haven’t seen “Infinity War,” you should have already bowed out, because this post is full of spoilers and we’re going to talk about some major ones. This is your final warning! The heroes fighting on Earth in “Infinity War” are primarily trying to save Vision, and a big part of that plan involves Wakanda. While the heroes make their stand against Thanos’ army and his lieutenants, the Black Order, in the most technologically advanced nation on Earth — Shuri (Letitia Wright), Wakanda’s wunderkind princess, is trying to remove the Mind Stone from Vision’s head. That’s because, as Bruce Banner (Mark Ruffalo) points out, there’s more to Vision than just the stone. He’s a mixture of a number of components. He’s JARVIS, Tony Stark’s old artificial intelligence program; he’s Ultron, the peacekeeping robot Tony (Robert Downey Jr.) and Bruce created in “Age of Ultron” that went a little crazy; and he’s the Mind Stone. Shuri notes that it’s possible to complete Vision’s neural network to bypass the stone and remove that part of him, and she sets about trying to do that in Wakanda. It doesn’t quite go to plan, though, and Shuri is interrupted by Thanos’ lieutenant Corvus Glaive (Michael Jame Shaw). And when Thanos shows up, he tears the Mind Stone out of Vision’s head, seemingly killing him. But just because Vision looks dead doesn’t mean that he is. After all, Vision, or parts of him, have survived certain death before. Back in “Age of Ultron,” the titular bad guy Ultron attempted to destroy JARVIS toward the beginning of the movie, back when both were just programs in the Stark tower database. JARVIS escaped being destroyed, however, by transferring core portions of his program and personality to the Internet. He routed around Ultron, in effect — which sounds a lot like what Shuri was trying to do for Vision. Keep in mind also that while Shuri didn’t finish the job, she did do a lot of work on Vision, “connecting neurons.” She was attempting to make connections past the Mind Stone so that Scarlet Witch could destroy it, and undoubtedly she was able to make at least some of those connections. It might be enough for Vision to have survived Thanos’ assault, in some form or another. While Vision’s body might be damaged, he’s primarily a computer program. So maybe, like JARVIS, he can survive in another form, outside of his body. As someone so intimately connected to the Infinity Stones, Vision likely still has a role to play in the story of Thanos. We wouldn’t count him out yet, and anything is possible with the Infinity Gauntlet involved. Speaking of which, we have some ideas about that — at least in regards to how “Ant-Man and the Wasp” and “Captain Marvel” will impact the story being told between “Infinity War” and “Avengers 4,” as well as how some other plot threads from “Infinity War” will play out. Click here for our deeper look into how “Captain Marvel” might impact this distressing plot twist. Click here for our look at what “Ant-Man and the Wasp” might have to do with all this. Click here for a closer examination of Doctor Strange’s actions in “Infinity War,” and how losing this fight might end up being the key to winning it later. And, finally, here’s our run-down on how the comic book version of these events played out.